Wireless desktop sets have become more popular and more widespread in the last couple of years. From an attacker’s perspective, these radio-based devices represent an attractive target both allowing to take control of a computer system and to gain knowledge of sensitive data like passwords. Wireless transmissions offer attackers a big advantage: you don’t have to be around to attack something or someone. Plus the victims often don’t know what it happening. At DeepSec 2016 Gerhard Klostermeier will present the results of research on the matter of wireless mouse/keyboard attacks. Furthermore you he will demonstrate ways in which modern wireless desktop sets of several manufacturers can be attacked by practically exploiting different security vulnerabilities. We recommend this talk to anyone still using old-fashioned input devices for creating content. 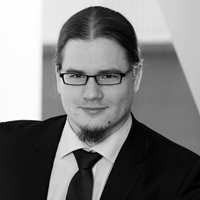 Gerhard is interested in all things concerning IT security – especially when it comes to hardware or radio protocols. He successfully studied IT security at Aalen University and is working at SySS GmbH since 2014 as IT security consultant and penetration tester. Gerhard was speaker at GPN 2013 – a conference organized by the Chaos Computer Club (CCC) in Karlsruhe – where he talked about hacking RFID-based student cards. He is also author of the Mifare Classic Tool Android app. This entry was posted on November 3, 2016 at 15:45. You can follow any responses to this entry through the RSS 2.0 feed. Both comments and pings are currently closed.